Wild Strawberries is a humane reflection on age, lost love, emotional vacuity, and existential guilt. The film interweaves personal memories, dreams, and nightmares with the present to furnish magnificent images that became hallmark of art house films dwelling upon acute nostalgia. The film is about Isak Borg who is a lonely man standing at 78. Isak is a widower; an acclaimed medical professional; has a married son who has distanced himself from Isak due to strained financial relationship; and lives with an old maid with whom he has a rather childish run-in bond. 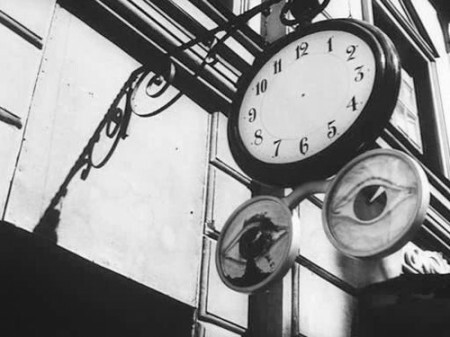 The film opens with an analytically viable (known from a later scene where Isak visits his mother and discovers his father's handless clock), visibly opulent, and a poetic dream scene with its manifest symbolism of handless clocks, lifeless human existence, beating and stopping of clocks, and an alive Isak inside a coffin, all of which announce the end-of-life crisis in which Isak finds himself. The plot of the film is a series of dreams strung together like beads on a strand and passed through Isak's mind as he journeys onward to receive a honorary degree at the Lund University. And during this journey Isak regresses back to all sorts of memories and dreams that associate with his past life. The film is laced with a voiceover of Isak who reminisces about his childhod house, his girlfriend Sara who married Isak's rather debonair brother Sigfrid, and a few other things of mortal importance. In his road trip, he is accompanied by a young girl who resembles Sara, her two suitors, and Isak's daughter-in-law Marianne. The five people in the car are also, to me, symbolic figures:Isak Borg may be Ingmar Bergman himself. Sara is Bergman's yearning for youth, virginity, and more importantly lost love. Anders, one of the two suitors, is Bergman's spiritual and artistic side that is interested in the existence of god. Victor, the other suitor, is Bergman's intellect steeped in strict rationalism. Marianne can be construed as Bergman's conscience. And the car-trip itself is a symbol of Bergman's own past life passing by the side windows. One common misinterpretation of Isak's character by many film critics is that Isak is emotionally frigid. However, in the film we see no evidence that may justify such a conclusion. Isak is accused by others of being cold, selfish, and unsympathetic. These interpretations, however, do not mesh well with an unprejudiced analysis of Isak's character. He comes off as a sweet old man, one who seems merely deeply passionate, yet unable to express himself. In this review, I will attempt to lay out the evidence by carefully analyzing Isak's interactions with some of the characters from the film, which would defy such a flawed portrayal of Isak. Sara: Isak is so refined. He is so enormously refined and moral and sensitive and he wants us to read poetry together and he talks about the after-life and wants to play duets on the piano and he likes to kiss only in the dark and he talks about sinfullness. I think he is extremely intellectual and morally aloof and I feel so worthless, and I am so worthless, you can't deny that. But sometimes I get the feeling that I'm much older than Isak, do you know what I mean? And then I think he's a child even if we are the same age, and then Sigfrid is so fresh and exciting and I want to go home. To provide further testimony to the fact that Isak is shy or moralistic in sexual matters, Isak's relationship with his old domestic, Miss Agda, is a case in point. Their relation belies a true affection, if not sexual attraction. Early on in the film Agda thanks heavens that two of them are boss and employee and not husband and wife, and we sense a deep bond between them. By the film’s end, there is a suggestion that even Miss Agda has always wanted something more from Isak.When, at his son’s house, Agda suggests that her bedroom door is always open, should he need something. That in the forty or so years of their relationship they have never gotten beyond calling each other ‘Professor’ and ‘Miss’, much less entered into a sexual relationship, does not imply that Borg is cold and unfeeling, merely prudish and shy or both. "Many men forget a woman who has been dead for thirty years. Some preserve a sweet, fading picture, but you can always recall this scene in your memory. Strange, isn't it?" Yet, we viewers never really know if this act was really an extreme import. The fact is that Isak recalls the exact date of his wife’s infidelity mainly runs counter to the notion that he was unfeeling over it, that he would try to impute blame upon the victimized, himself. From all of these, it seems far more likely to me that Isak’s real existential predicament in this film is not that he ever was a frigid individual. For the worst accusation emerges when Marianne complains of his merely asking his doctor son Evald to repay some debts to him. A dispassionate analysis would, however, suggest that Isak is far from being a tyrant, and rather merely a man trying to hold his grown son to his own words. Marianne, who seems to have bought into others’ interpretations of her father-in-law also finally overcomes such an attitude in the course of the film and finally develops a deep affection for him, despite her initial scorn, including telling Isak his son hates him. On his way down to the University of Lund to get his honorary degree, Isak stops near his family’s old summer home, pays a visit to his really old and unemotional mother, and stops for a gas refill in a town where Isak used to live during his medical internship. These events shed important light on Isak's psychological map. His stop at his old summerhouse brings him back to a patch of Wild Strawberries that trigger his journey back to his childhood, and lends the film its title. The scenes where Isak loses Sara to Sigfrid are deeply resonant for a viewer and infuse an empathetic mood in the viewer for Isak's loss of love and, more importantly, uncover a deep sentimentalism in his character. On his way, Isak arrives at his old town, and is warmly greeted by the local gas station attendant, Henrik from whom we hear some of the good deeds and favors Isak the doctor is fondly recalled for in the village, even many years later. This positive scene lies in stark contrast to others' misinterpretations of Isak's character. Leaving Sara and her two suitors behind, Marianne and Isak pay a quick visit to Isak's 96 year old mother. Here the viewer gets some clear evidence of the biases with which others' analyze Isak. In a famous moment, Isak’s mother neglects Isak and his siblings' old photos and makes a rather offensive comment that they only visit her when they need money, and even mistakes Marianne for Isak’s long dead wife, Karin, whom she manifestly loathed. Yet, in the whole scene all we see is how Isak treasures those childhood mementos, and takes offense to his mother's remark. Likewise when he goes to visit his mother on the trip; he doesn't really want to be there because it reminds him of his own strained relationship with his son that seems to be a formality at best. Also, in his trip Marianne becomes frustrated at the quarreling couple and asks them to leave and Isak does not object to that. As if he really wants to avoid those events from his life that are unpleasant and reek of conjugal bickering. All of these hardly fit into the archetype of coldness that others accuse Isak of. Most critics seem to have bought into the fact that the Isak is cold, yet little evidence of this is seen. One might argue that the whole tale is a flashback by Isak, who consciously or not is trying to guide the viewer to believe what he believes, yet, even if true, this only reinforces the notion that Isak has been grandly deluded by others into buying into a false notion of himself. Those folks, like Henrik, who has no agenda with Isak, see him in a far different light than those who have something to gain from him do. Indeed, the central dilemma of the film seems not to be how Isak comes to grips with his own objective failures as a human being, but rather how he comes to balance others’ flawed perceptions of himself with a growing sense by himself of who he really is, and has been. As the film ends, the ceremony is done, and Isak waves to the kids as they leave. He has had another bittersweet argument with Agda, and seems reconciled with himself, ending with a dream sequence of seeing his parents on a far shore of the lake near their summer home. In his mind, all is bliss, for his remaining days are now not turbid with doubt, and even his son and Marianne seem to have reconciled, after a brief moment with both where Isak has had his say. What Wild Strawberries cinematically achieves is a melancholy statement about life. 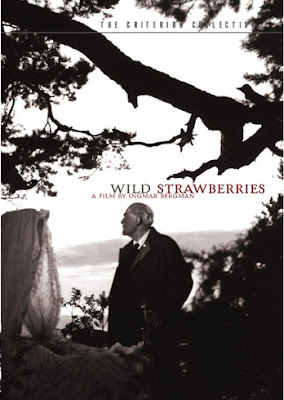 Wild Strawberries emerges as one of the Swedish director's most elegiac and humane films. It builds, through its flashback structure, a compassionate portrait of a man coming to terms with the disappointments and sorrows of an emotionally constrained life. So what do you think about his conversation with his doughter in law in car at almost begining of movie ? which she reminds him how he react rudely and aggresivelty to her demand to stay with him ? You could use the final exchange between Isak and his son as further evidence that the former struggles to express himself, rather than exist as a cold heartless being. In that scene Isak tries to ask his son about the future of his relationship with Marianne but literally can't get the words out. Furthermore, he also attempts to tell his son to forget to the debt but is cut down before he can actually say tell him this. This plays into your argument that Isak has great difficultly articulating his feelings above all else. Although, playing Devil's Advocate I think the point of Isak deciding to wipe the debt is to show that he's changed from his earlier position that was too continue the debt despite its negative effect on his son. For this moment to work, there needs to be a noticeable change in Isak from a selfish, cold man to one who is more personable and easy going which would contradict your belief he's a tender old man all along.